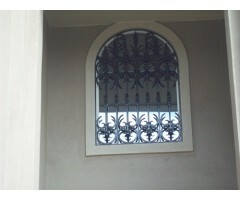 This beautiful window grill offers a big style statement and security .. 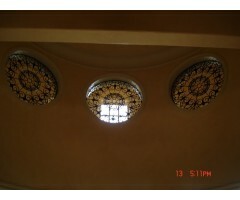 The round window grills custom designed for this home add beautiful artistic architectural interest to the home. .. 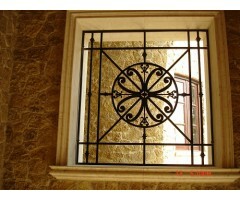 The detail and design on this window grill is magnificent with the light shining through. .. 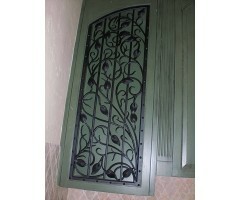 This grill was designed as decor to be part of the window shutters .. 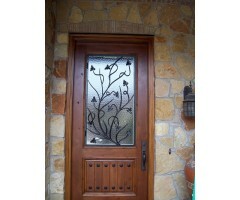 This window grill adds alot of character to this home with it's vine and leaf motif. .. This grill was designed to be a work of art as a room divider. .. 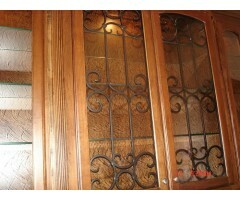 This pair of window grills were designed to enhance the cabinet doors. .. 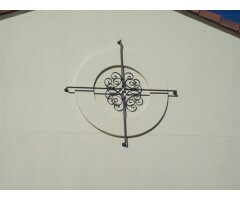 This articulate design created a fabulous designer's transformation on this home. .. Architectural detail should be placed stratigically, where it will be appreciated without being lost in the total picture. 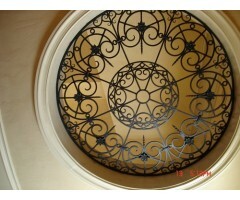 This iron work accomplishes that goal. .. 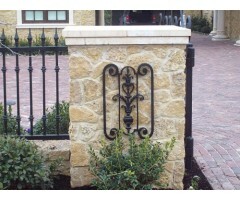 This piece of wrought iron art is a perfect accent to this stone mailbox column. .. 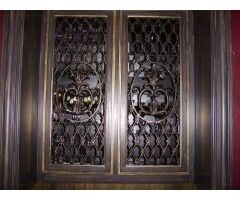 This wrought iron is an accent for the cabinet doors. .. 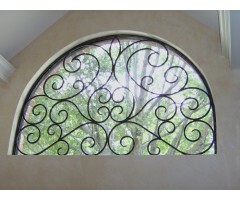 Nature shining through the custom ironwork insert on this half round window is a beautiful work of art for this home. ..